This will be the first “full day” meeting of the forum since the relaunch, there will be 6 sessions throughout the day. There will be a mix of speakers, panels and workshops all with useful takehome learning outcomes, designed so that you get the most out of the day. We are pleased to announce that we will end with a presentation from Mike Haley, Chief executive at Cifas! 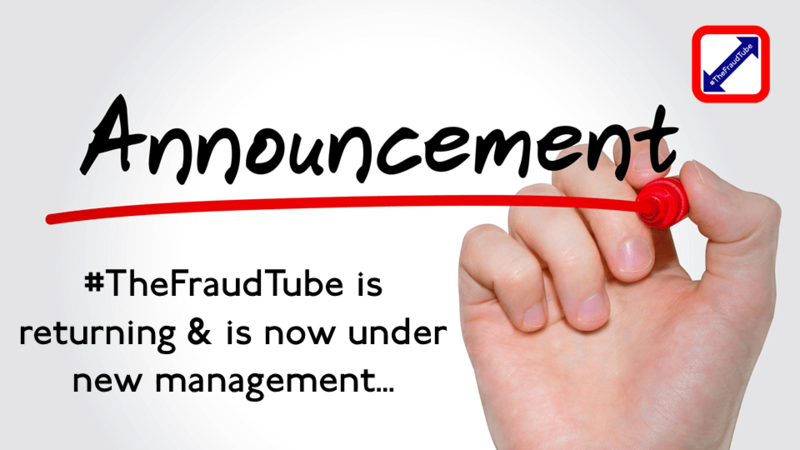 David will be taking over as CEO of both #TheFraudTube and The Fraud and Cybercrime Forum with immediate effect! This change will now provide #TheFraudTube and The Fraud and Cybercrime Forum with access to significant new resources which will enable us to dramatically enhance the services and facilities that we can offer to members. We will be emailing all members shortly and inviting you to participate in strategy steering sessions, where we will be giving members a chance to shape the direction of the forums going forward. There will be an Advisory Board of top subject matter experts formed to help guide the content offerings of the forums and a number of significant SME’s have already accepted positions on the board. A separate announcement regarding the board will be made shortly.